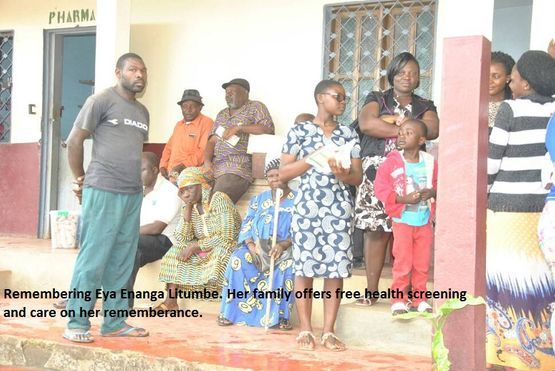 Over 200 patients around Buea and the Bokwaongo community in particular have benefited from a free health care organised in memory of Late Eya Enanga Litumbe. The event that was opened to the young and old took place at the Bokwaongo Health Centre from 7am to 3pm on Saturday March 17, 2018. As an important step towards maintaining good health, the children of Late Eya Enanga Litumbe coordinated voluntary services of six professional doctors and a team of nurses and lab technicians who provided medical health screening on blood pressure, blood sugar, malaria and HIV, did general consultation as well as eye examinations on a first come first serve basis. Some quantities of medication was provided for blood sugar control, high blood control, malaria treatment, bone strength, aches and pain, while some limited quantities of reading glasses were also provided to those in most need. 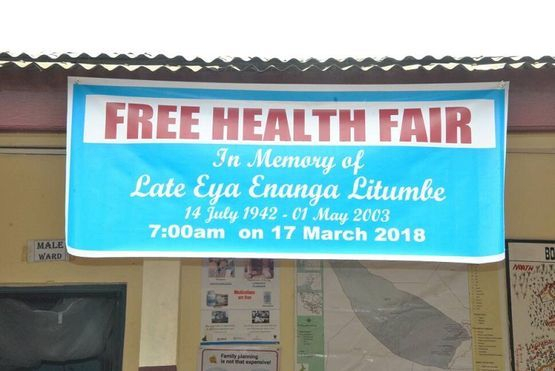 One of the patients who attended the free health fair, Enanga Emilea Njuma, age 44 noted that she went through her screening and did all the necessary checks and nothing was found wrong with her health. She was grateful to the organisers for the opportunity for her to know her health status free of charge. 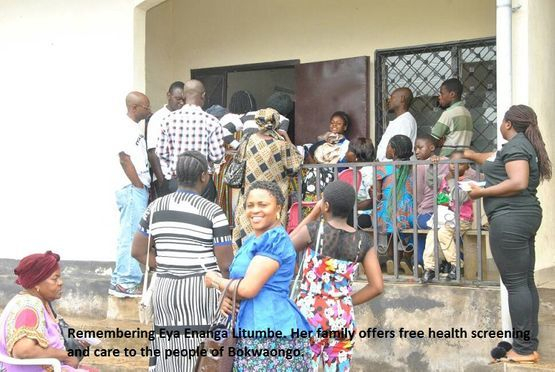 On how she came to know about the free health care, an inhabitant of Bokwaongo, Magret Ekema who suffers from visual disabilities said the information was made public in her church. She expressed her gratitude to the organisers for providing her with a pair of reading glasses that has helped to improve on her vision. 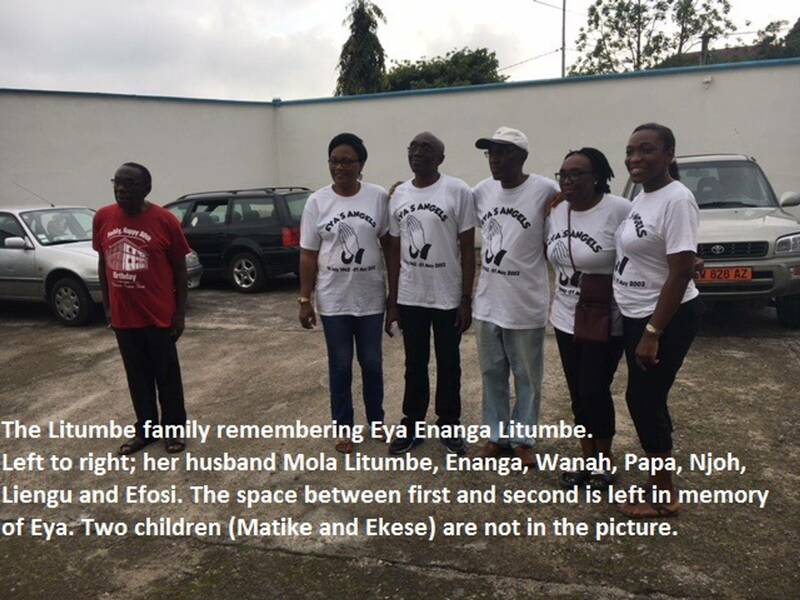 Talking to Fako News Centre, one of the children of Late Eya Enanga Litumbe, Madam Ncho Francisca Enanga explained that this charity concept is a way for them to thank God for the life of their late mother. She noted that their grandmother, grandfather and mother all died of Diabetes; and they are seizing this opportunity to help others learn how to manage this ailment. She added the best way to help people understand this health hazards is by providing free screening and sensitization so that patients can start managing the situation early enough so that they can leave longer. The reality is, “We can’t tell them not to eat kwacoco but we can advise them not to eat it after 5:00pm”. 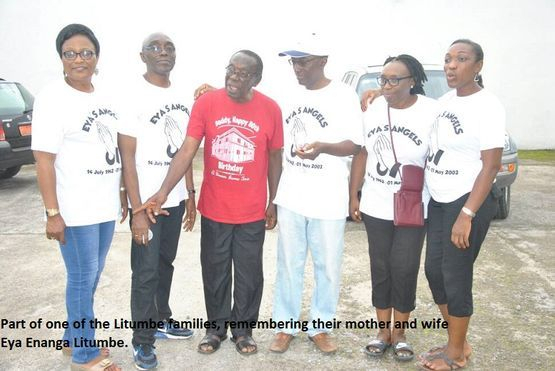 The fair concluded with dinner for all volunteers and the family at the residence of Late Eya Enanga Litumbe’ s first grandchild Joffi Atogho and her husband. Thanks to all who made this event a success through their various contributions. Special thanks to all Molas and Iyas who donated funds for the purchase of malaria & HIV testing kits and medication for distribution.